The state's Water Resources Center and Archive has played a crucial role in documenting — and shaping — California water history. Longtime users say it has greatly declined since leaving Berkeley. One of the defining issues of California's turbulent water history has been the draining of the creeks that feed into Mono Lake — a unique saline soda lake that is historically home to an enormous abundance of wildlife — by the City of Los Angeles. In 1983, the California Supreme Court took up the landmark case National Audubon Society v. Superior Court, which was to determine the fate of the creekwater diversions in light of new environmental laws. 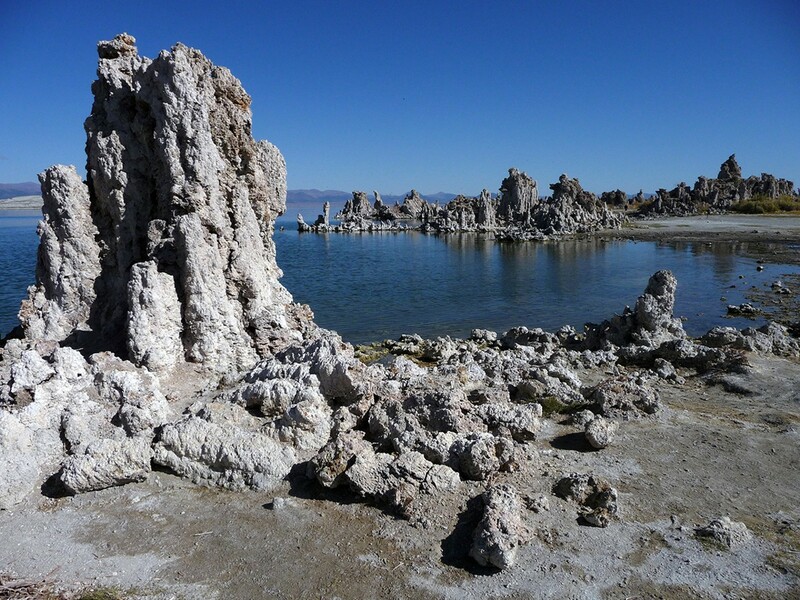 Years prior, the Los Angeles Department of Water and Power had unceremoniously thrown away consultant reports from the 1920s that measured water flow in the Mono Lake creeks prior to the diversions. The lone place where these crucial documents were preserved was the California Water Resources Collection and Archives (WRCA), which for decades was located on the fourth floor of UC Berkeley's O'Brien Hall. Longtime users of the archive fondly recall the ramshackle feel of the WRCA, including the paint peeling off the walls and the dilapidated red couches that humorously recalled 1950s Soviet Russia. They were markers of a facility doing a lot with a little. In preparation for the Supreme Court case, lawyers from both sides hunkered down in the archives. 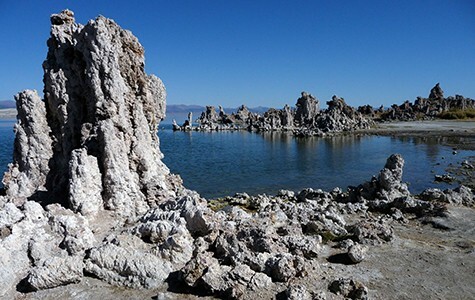 Partially on the strength of information found by attorneys, the high court ruled that Los Angeles had to restore Mono Lake. The judge also ruled that state regulators have the power to protect "public trust" values, including environmental, recreation, and aesthetic ones. "That story really shows the importance of the archive, but it's only one of many of those stories," said Linda Vida, who served as director of the WRCA from 1993 to 2013. "It's had a key role in preserving the historical memory about water." But longtime users of the facility say it's only a shell of its former self, and they worry about its longterm viability. In 2010, the University of California's Division of Agricultural and Natural Resources (ANR) moved the archive from O'Brien Hall to the university system's most remote campus, UC Riverside. Staffing at the archive has since declined from four full-time employees to just one. Its digital archives have not been updated in four years. And its declining support from the University of California is all the more stark, critics say, given the urgency of California's multi-year drought. Since the state legislature authorized the creation of the WRCA in 1956, it has been the most comprehensive and renowned facility in its field, a repository for most major papers and publications concerning water in the American West. Nowhere else would one likely find under one roof promotional materials for the "Reber Plan" to build two giant dams across San Francisco Bay, old peripheral canal presentations, and original photos of the construction of the Los Angeles aqueduct and of the aftermath of the deadly 1928 collapse of St. Francis Dam near LA — along with current material from all of the state's eight hundred or so water districts. While located in Berkeley, the facility was also an important gathering place for California's self-identified "water research community." "There was a community that grew up around the archives, and Linda Vida was the contemporary fulcrum of that community," said renowned land use attorney Tony Rossmann, a UC Berkeley law school instructor who has served as counsel in some of California's and the West's leading water and land-use proceedings. Rossmann originally intended to donate his own papers to the WRCA, but he will now donate them to Harvard instead, as a result of the archive's recent travails. The WRCA's removal from Berkeley was initiated by UC ANR Director Dan Dooley, who is also a longtime farm owner and water attorney. Unlike Rossmann, Dooley had been counsel for some of the San Joaquin Valley's largest agribusinesses. In justifying the decision to move the WRCA, Dooley cited a budget shortfall. The facility, though, required a comparatively paltry $350,000 a year to maintain — roughly equivalent to Dooley's annual salary. Some observers speculate that UC Berkeley's internal politics had a strong hand in the decision. For several years, leaders of the campus' prestigious engineering school had made it known that they coveted the space occupied by the WRCA. Top officials at the engineering school are also well connected. For example, Cal's current engineering dean, S. Shankar Sastry, serves as faculty chair of UC Regent Richard Blum's $15 million institute, the Blum Center for Developing Economies (Blum is an investment banker and the husband of US Senator Dianne Feinstein). Blum oversaw the selection of Mark Yudof as UC president. Yudof, in turn, hired Dooley. By December 2010, only six months after Dooley first announced his decision to move the archive, it had already landed in Riverside. "They could have slowed down the whole process so we could have had time to investigate another funding and space option," Vida said. "But they couldn't wait to get it off the books. It was all done top-down, hush-hush." In a letter I obtained via a Public Records Act request, former ANR Associate Vice President Barbara Allen-Diaz, who worked directly under Dooley, declined a suggestion from a member of an advisory panel to make individual campuses' proposals to house the archives available for public review by faculty members and longtime users. Dooley's office did not respond to a request for comment on this story. Some critics say UC Berkeley administrators are at least partially to blame for the archive's demise. Rossmann called former Chancellor Robert Birgeneu's failure to fight to retain the archives at Berkeley while at the same time spearheading an expensive retrofit of Memorial Stadium, "a tragedy of Alexandrian proportions." While in Berkeley, the WRCA put out a newsletter and sponsored a well-attended colloquium, featuring several presentations annually by water policy experts and ecologists. None of these efforts to tailor the facility to water researchers has survived the transition to Riverside. UCR administrators insist, though, that they remain committed to the archive's well being. They cite a recent agreement to expand collaboration with the California State University San Bernardino, which co-manages the archives. "One thing I would say is that we have been doing a lot of work behind the scenes that isn't evident quite yet," said UC Riverside University Librarian Steve Mandeville-Gamble. He noted an effort by UCR library staff to develop new online aids for easier digital browsing of many collections. But before arriving in Riverside, the WRCA already had an impressive online presence. It operated the biggest and most-visited website on the UC Berkeley library server. The high-profile Online Computer Library Center (OCLC) rated it highly on a listing of libraries — including the US Library of Congress — with the largest collections of unique materials available online. Current WRCA librarian Jessica Green estimates that the facility directly supports research by eight to ten UC Riverside faculty. But the facility is no longer the hub it was in Berkeley. And its remoteness from Sacramento has diminished its accessibility by those who shape public policy. One of the most significant public intellectuals who specializes in global water policy is Peter Gleick, co-founder of the Pacific Institute in Oakland. One of the Institute's signature endeavors is the bi-annual book The World's Water. "When I was pulling together data for the early editions, I got California water data in the archive that I could find nowhere else," Gleick said. "Clearly, the costs of maintaining these kinds of archives are miniscule compared to their value to society."